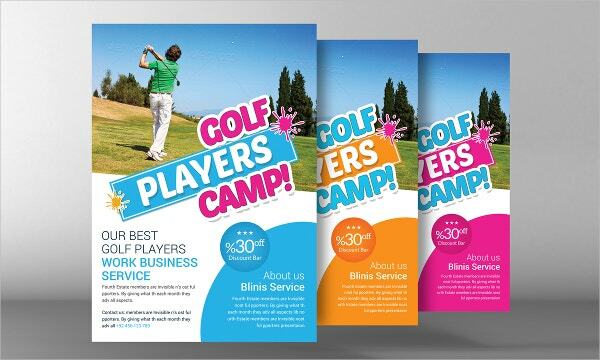 Sports flyers are extremely useful in publicising sporting events, tournaments, clubs, etc. 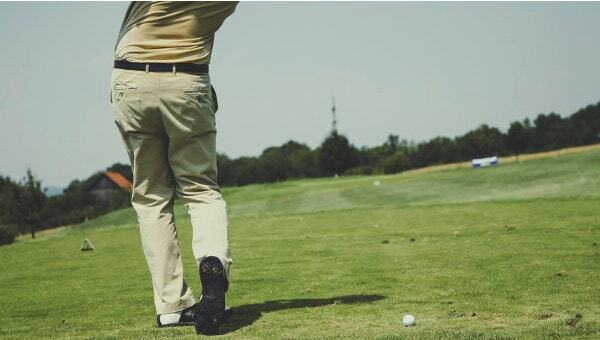 These Free Flyers can be used in various ways. They can be handed out to people, can be stuck at places people are most likely to notice, can be printed on magazines or can be even distributed online. 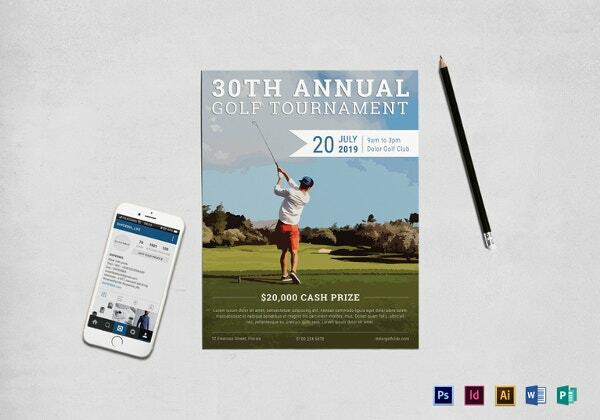 If you want to publicize any golf related event or organization, you can use the below listed golf flyer templates to make flyers for advertising them. 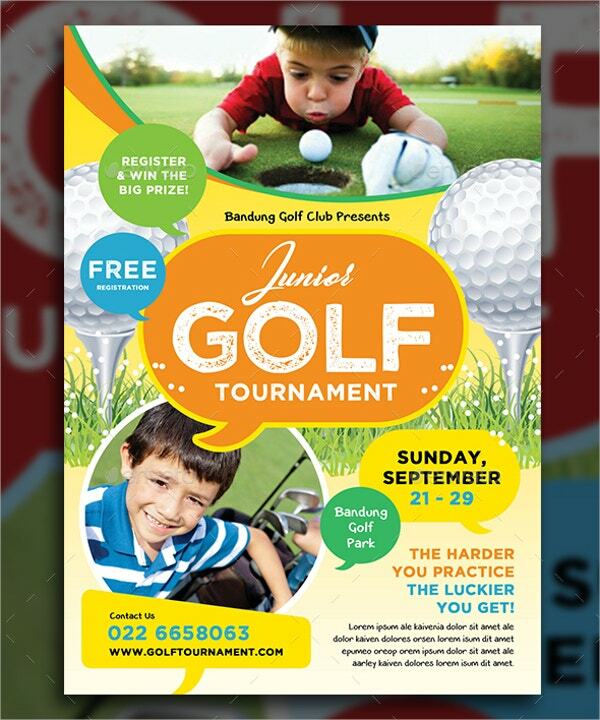 This is a very attractive golf flyer template that can be useful for golf tournaments organized especially for kids. It comes in 3 different attractive colour patterns and is available in A4 size. 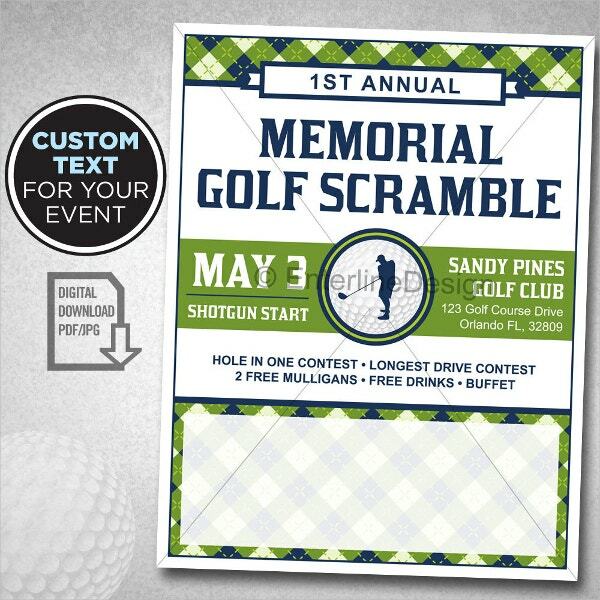 It is a double sided golf flyer template which can be useful especially for promoting charitable golfing events. 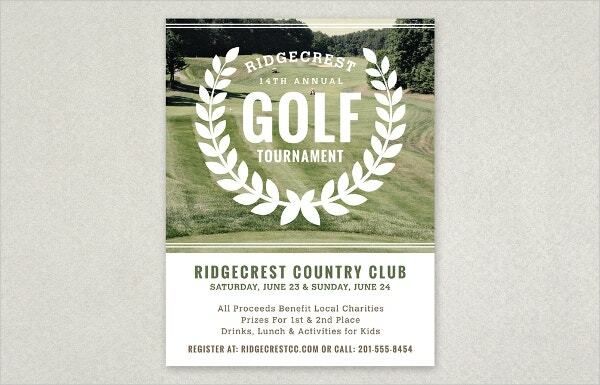 The front side can be used for writing details about the event while the back side contains a registration form for the event. 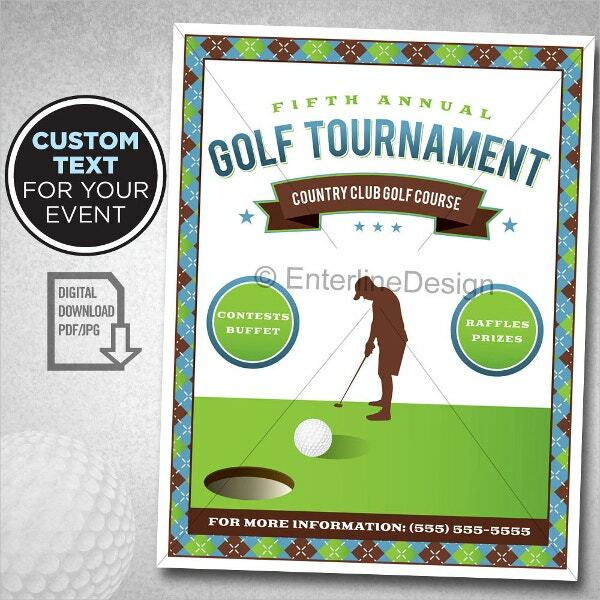 This golf flyer template can be highly useful for promoting amateur golf competitions. 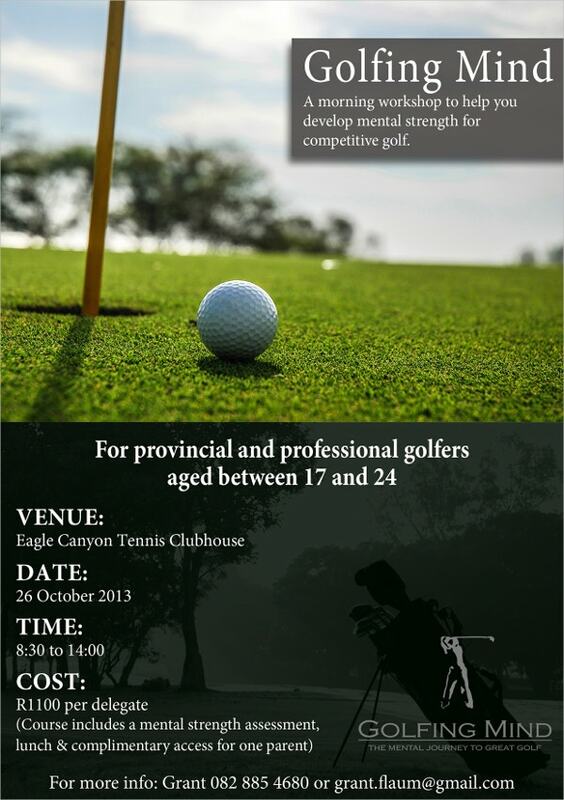 The flyer is available in JPEG as well as PDF format and you can get it customised from the seller. 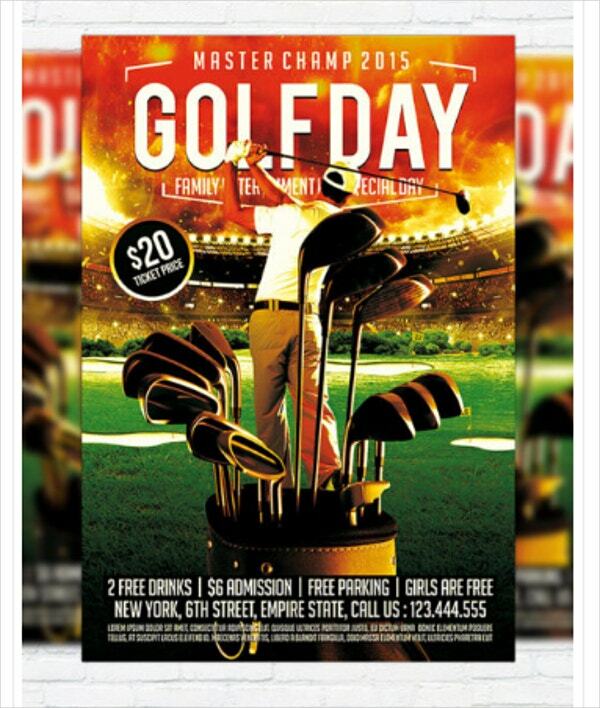 It is a very well designed golf flyer template and can be of great help for promotion of golf tournaments held at a professional level. It is printed on both sides. 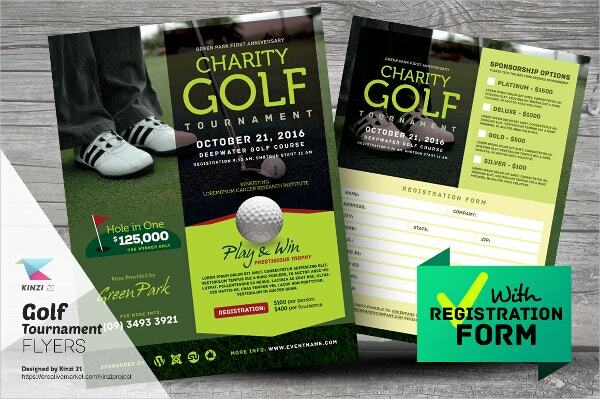 This golf flyer template contains 4 very attractive flyer templates that are most beneficial for charity golfing events. They are available in A4 and US Letter size and in PSD, INDD, IDML, INX AI and EPS formats. 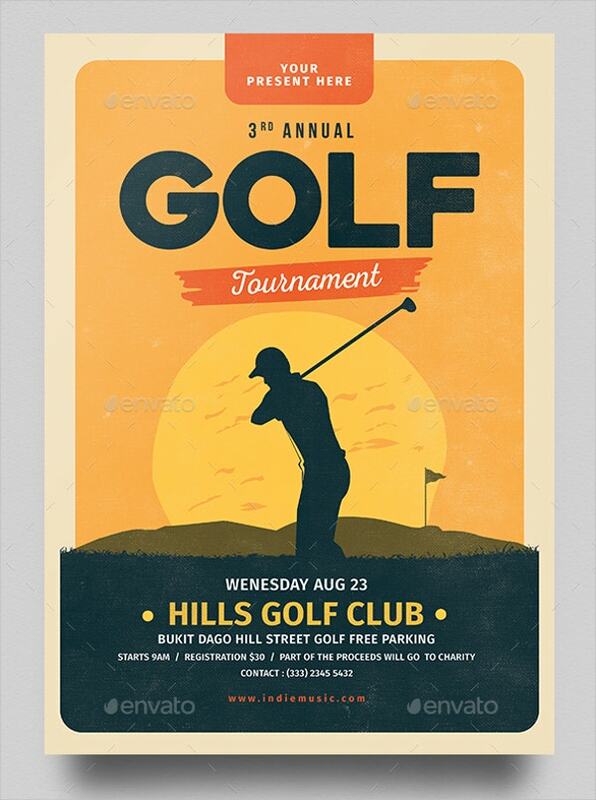 This is a very beautifully designed golf flyer template best suited for promotion for high level golf tournaments. 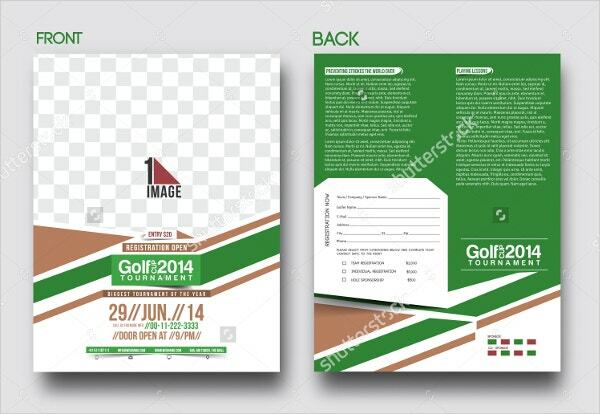 It is available in PSD format in A4 and A5 size with 0.3mm bleed. 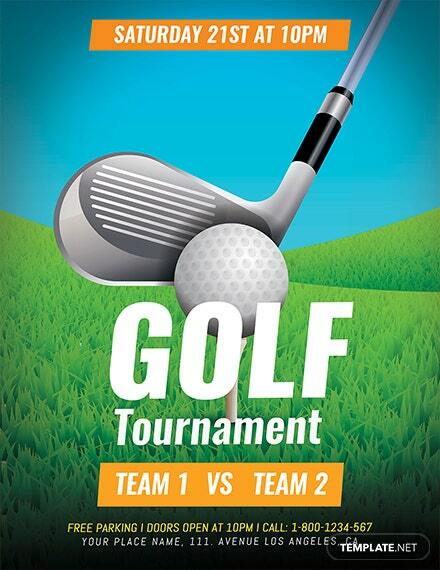 This attractive golf flyer template is best suited for promotion of golf tournaments which are parts of social events. It is available in PDF and JPEG formats and can be easily edited and customised. 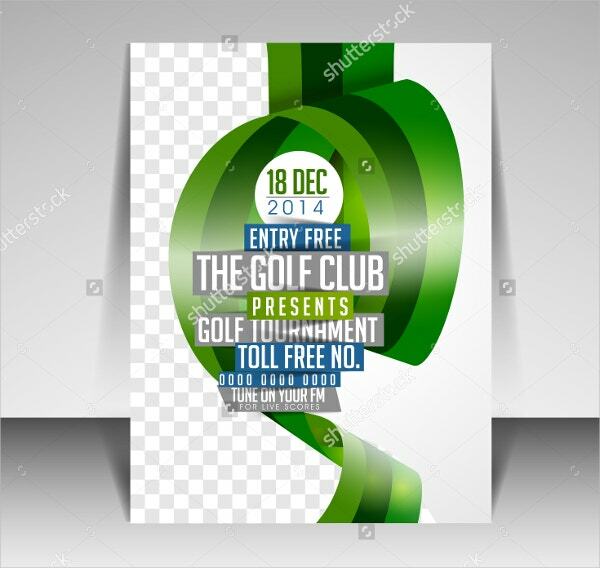 This is a very well designed golf flyer template which can be highly beneficial in the promotion of golf tournaments held for beginners, amateurs as well as professionals. It is available in vector as well as JPEG formats. 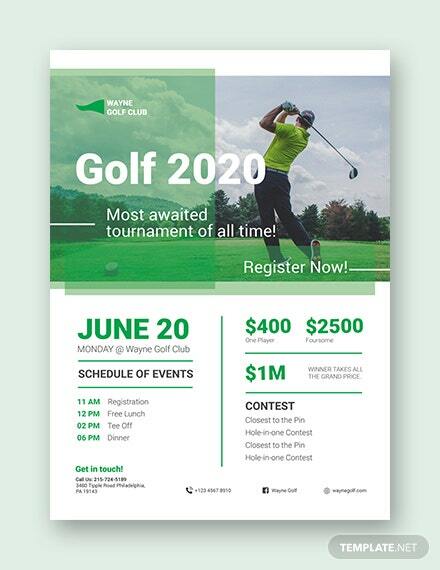 If you are looking to promote a golf tournament whose motive is to raise money for charity then this golf flyer template can be of great help to you. It is available in PSD format and A4 size. 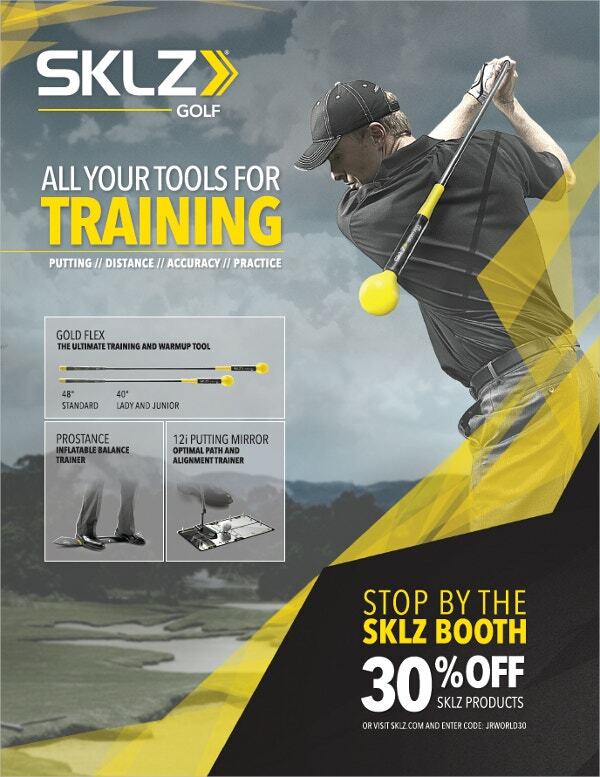 This beautifully designed golf flyer template will be of great benefit to promote training camps intended to teach golf. It comes in 3 different colours and with free fonts and can be easily customised. 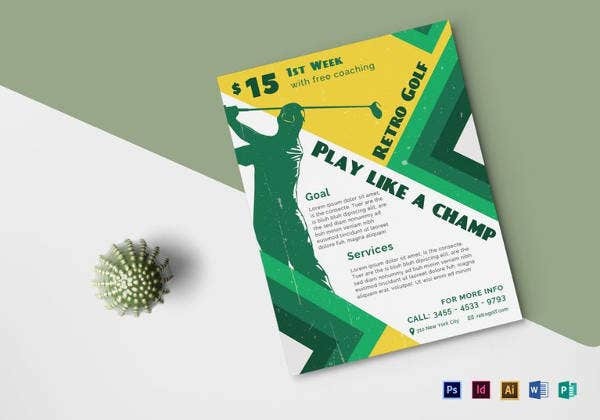 If you plan to conduct a golf workshop then this golf flyer template should be of great benefit to you for advertising it. It is very attractive and can be edited using Adobe Photoshop. 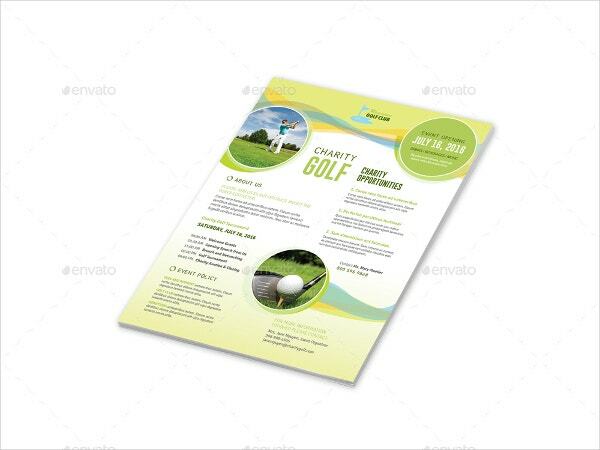 This is an extremely attractive golf flyer template with prints on both sides including a registration form at the back. It is completely customizable, comes in CMYK colour mode and is print ready. 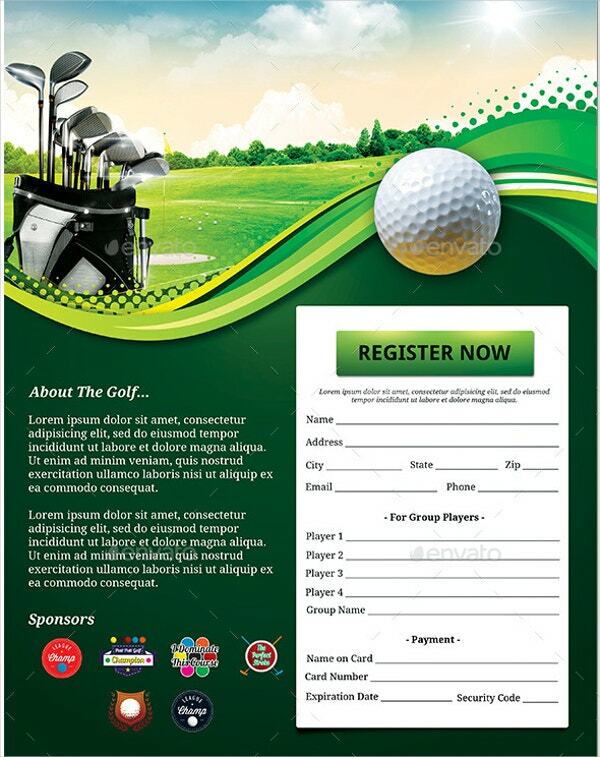 If you wish to advertise products made for golfers then this alluring golf flyer template can help you in doing so. 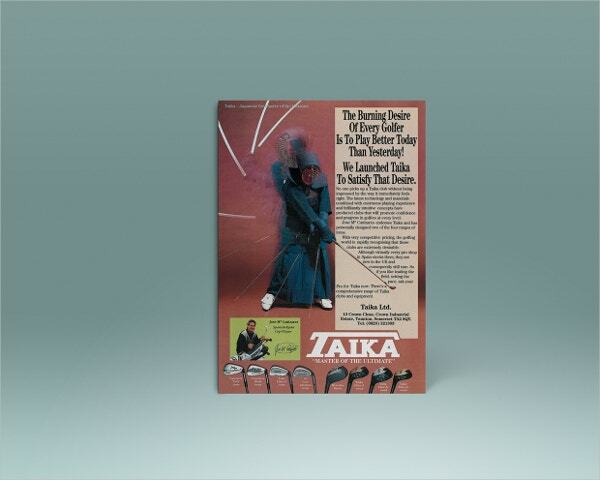 It is very well designed and can be easily edited using Adobe Photoshop and Adobe InDesign. 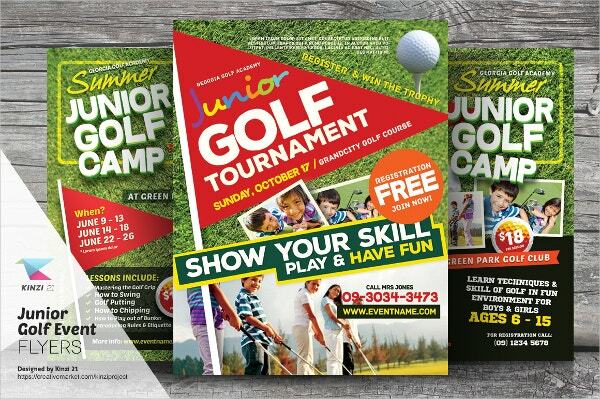 Golf camps or tournaments created especially for kids can be promoted by using PSD Flyers from this neatly designed golf flyer template. It is available in US Letter size in 300 DPI resolution and CMYK colour mode. 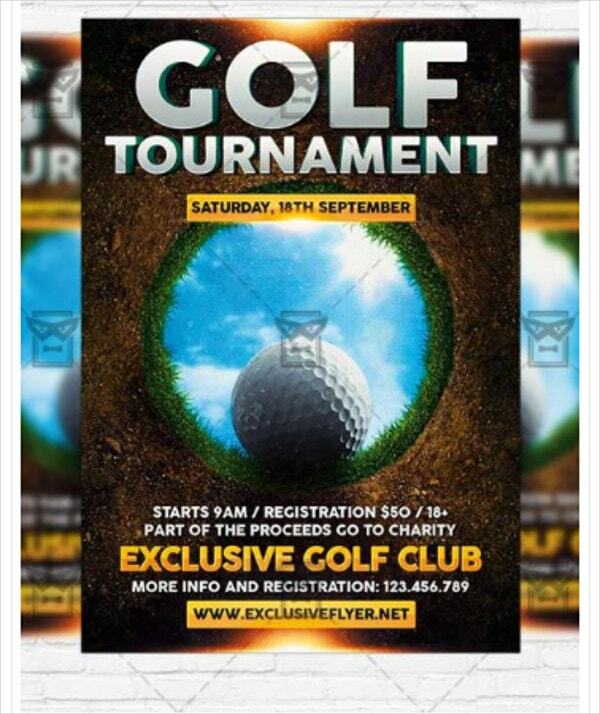 This is a very creative and stylish golf flyer template and can hugely benefit golfing events especially organised for charitable purposes. It is available in PSD format and is full editable. 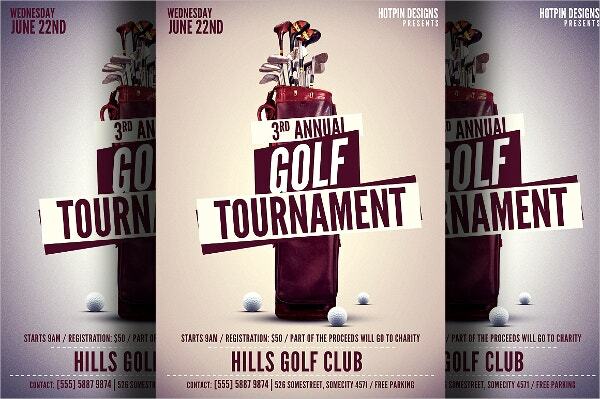 These are the best and most creative golf flyer templates available on the internet. 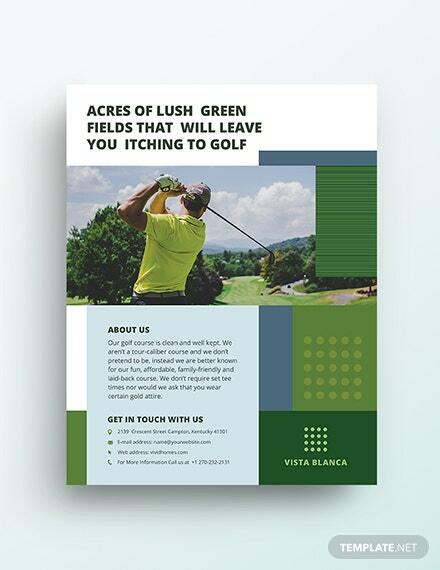 Club flyers can also be created to promote golf clubs and tournaments taking place there. 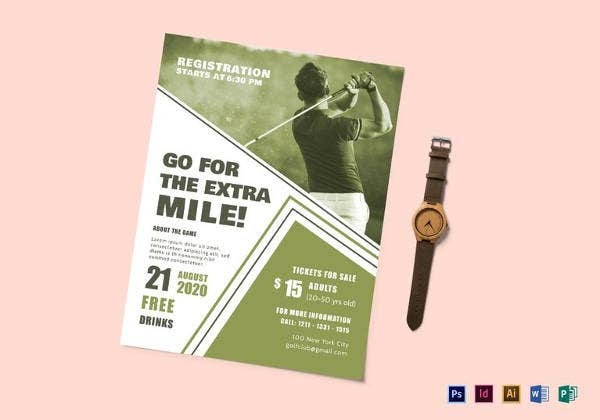 Choose the flyer template best suited for your purpose and promote it by creating attractive flyers using these templates. Happy designing.